Exceptionally strong, yet soft and supple, our Deerskin Lace is expertly cut from only the finest North American deer hides. Great for all your jewelry and beading projects or for garment lacing. 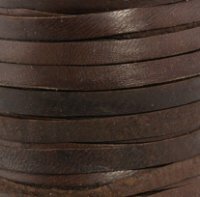 Deerskin Lace is the softest leather lace around. Approximately 1.0mm in thickness.